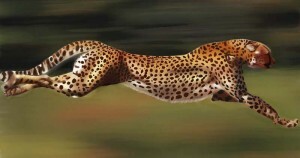 Cheetahs are the fastest land mammal on the Earth and have an acceleration of 0 to 96 km/h (60 mph) in just 3 seconds. Their top speed is 113 km/h (70 mph). Cheetahs have evolved to such a degree that allow them to maximize their speed. They have enlarged Lungs, nostrils and heart within their bodies to give them more oxygen and blood to their muscles. Their body frame is small, lightweight and aerodynamic combined with long legs, flexible spines and loose hips, they can cover 7 meters in one stride. Running at such a top speed of 113 km/h takes a lot of energy. However, it can process this for only short time about 30 seconds. This limiting factor keeps the cheetahs from lengthy chases so they try to come as close as possible to their prey to maximize the chance of success. Cheetahs are camouflaged in trees and grasses, before starting a chase against their prey. When they get an opportunity to come close to their prey, they burst out of grasses and strangle the animal with their bite and drag it to a suitable hiding spot to save it from stealing by another predator e.g. lions and leopards. Cheetahs are sometimes confused with leopards. Cheetahs are distinguished from leopards with their tear-stained black marks directly running from their eyes to the mouth. Cheetahs can’t roar but can only chirp and purr. 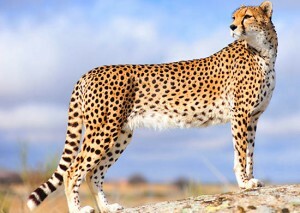 Since cheetah’s physical structure is lightweight and slender, which leaves them defenseless against lions and tigers. 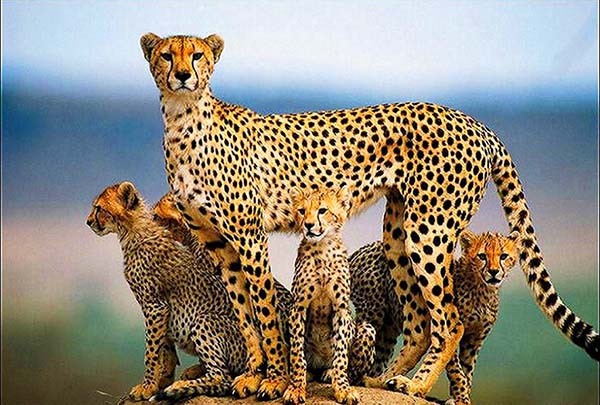 Due to these facts and human-caused predation, the number of cheetahs is decreasing which made them endangered species in many African nations. 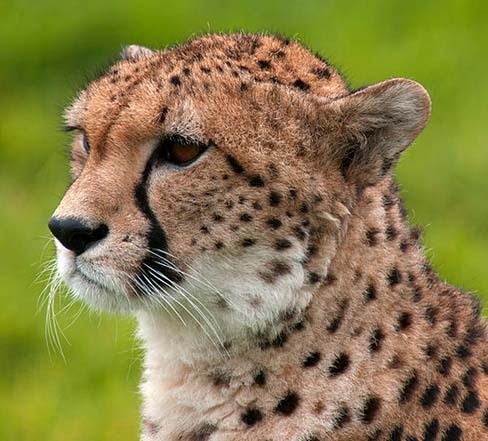 Abdul Wahab, "Cheetah," in Science4Fun, April 13, 2019, http://science4fun.info/cheetah/.